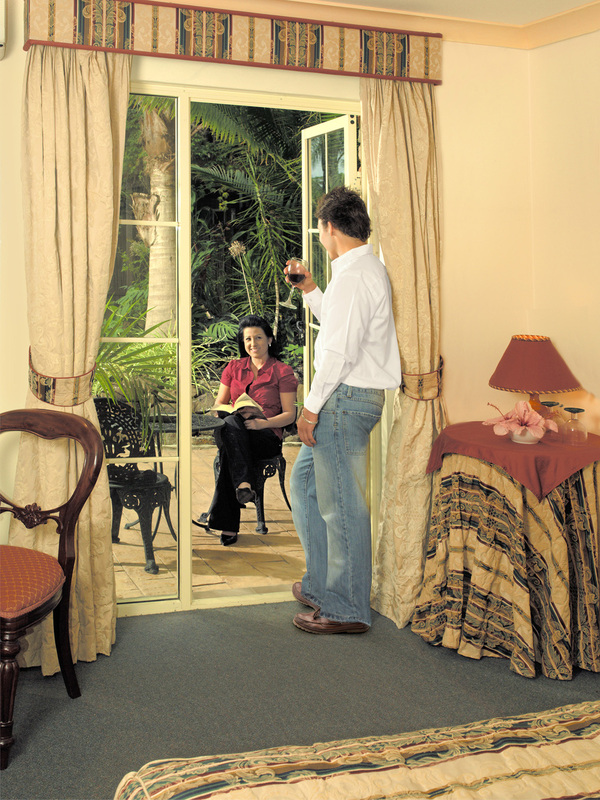 We have various types of accommodation from top of the range Executive rooms with spa bathrooms to self-contained units. 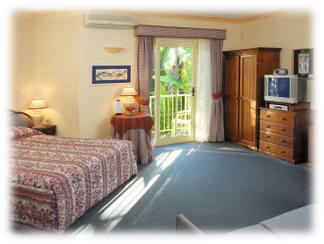 All rooms are air-conditioned and have ensuite bathroom, custom designed furniture and original artwork. Additionally, all rooms have flat-screen television, DVD and CD players, clock-radio with alarm, bar fridge and tea/coffee making facilities, iron and board, hairdryer. 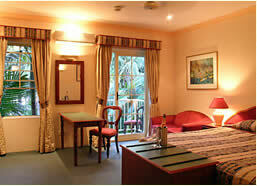 Executive rooms have king size beds, marble bathrooms with spa bath. Luxury rooms have queen size beds. The standard room has a much smaller bathroom. The recently refurbished two bedroom unit has a queen bed in the main bedroom and 2 single beds in the small 2nd bedroom. 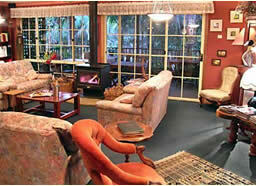 There is a large sitting, kitchen dining room with full fridge but limited cooking facilities.